Cultural Pluralism in the Arts Movement Ontario (CPAMO) is a movement of Indigenous and racialized artists engaged in empowering the arts communities of Ontario. CPAMO seeks to open opportunities for Indigenous and racialized professionals and organizations to build capacity through access and working relationships with cultural institutions across Ontario that will result in constructive relationships with Indigenous and racialized professionals and organizations. This is a unique opportunity for you to contribute to events that showcase a wide array of diverse voices in a broad range of artistic mediums. CPAMO works in many communities and supports such organizations as Aluna Theatre, Modern Times Theatre, Collective of Black Artists, Dance Immersion, Native Earth Performing Arts and many individual artists and arts activists. CPAMO coordinates work at the national level with national arts services organizations and across Ontario with arts services and arts organizations through our Pluralism and Organizational Change Project. We participate on several boards, including Civic Theatres Toronto, Prologue to the Performing Arts, the Nia Centre for the Arts, the Dora Juries, the Canadian Dance Assembly, the Canadian Arts Coalition, the Provincial Arts Services Organizations. We provide advice to specific initiatives with such organizations as the Ontario Association of Art Galleries, The Writers Union of Canada, Open Studio, amongst others. CPAMO has invited such artists in theatre (Modern Times, Aluna, Cahoots, Native Earth Performing Arts), in music (Small World Music and Polyphonic Ground), in dance (Sampradaya Dance Creations, Kaha:wi Dance Theatre, Collective of Black Artists, dance Immersion) and many individual Indigenous and racialized artists, to participate in The Gathering: CPAMO Turns 10 - A Celebration. These artists engage Indigenous, racialized, queer and intersectional communities as well as those interested in arts practices coming from these communities. This is a unique opportunity for you to contribute to an event that showcases a broad range of artistic practices. The funds we receive will be to support payments to artists and speakers who are part of The Gathering: CPAMO Turns 10 - A Celebration. - point out to funding bodies and arts policy makers that there needs to be an open conversation about artistic standards and how they are addressed in arts policies, funding opportunities and in jury selection and education so that grants are administered in ways that both acknowledge and support this important direction. contribution as a proud supporter of the arts! t-shirt featuring an image from a Toronto based artist. tickets to The Gathering: CPAMO Turns 10 - A Celebration! Theatre, Collective of Black Artists, Little Pear Garden Collective, and others! 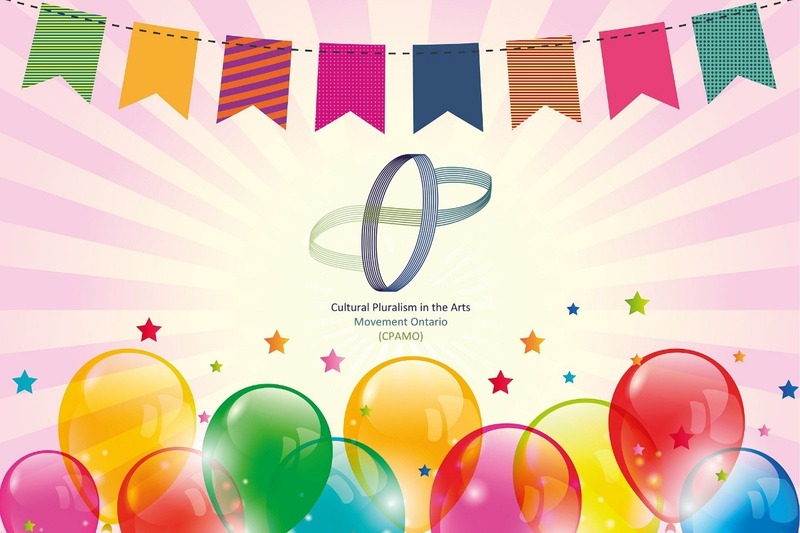 tickets to The Gathering: CPAMO Turns 10 - A Celebration, with admittance to the VIP event that will feature many of our artists.